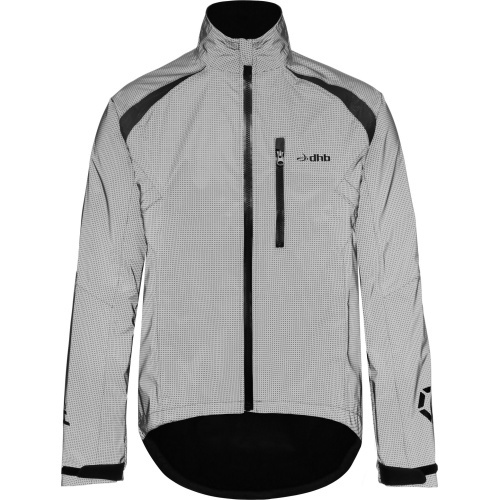 Made from 100% reflective fabric, the dhb Flashlight Full Beam Jacket offers ultimate visibility and protection. 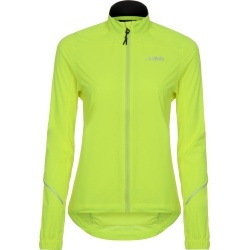 This Flashlight Full Beam Jacket is the perfect choice for both commuters, and those riders looking for maximum visibility on the road when the light fades. A subtle grey in normal lighting, the Full Beam illuminates completely when hit by light, glowing brightly to ensure you can be seen. 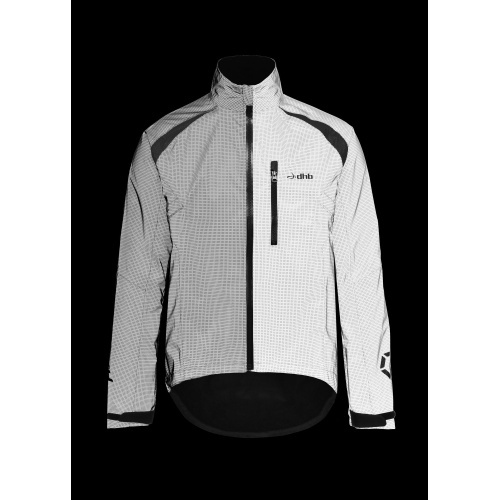 Along with offering 360-degree visibility, the Full Beam Jacket is packed with features for protection, functionality and comfort. The Full Beam is fully waterproof thanks to an impermeable membrane and taped seams. 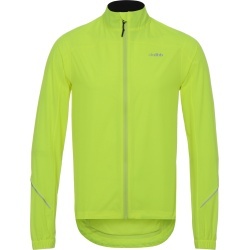 To provide some breathability and ensure you don’t overheat, it has a perforated top layer. For additional temperature regulation, it also has 2 zipped side vents that can be opened or closed depending on the temperature or intensity of your ride. For those really wet days, the cuffs can be adjusted to keep the rain out. 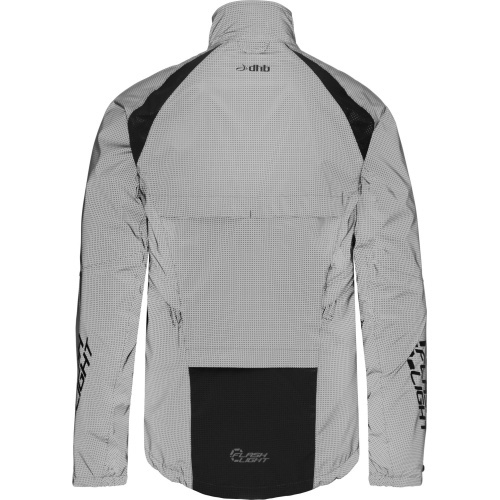 An adjustable hem and dropped tail also offer protection from spray. 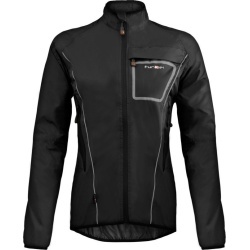 A waterproof pocket at the front, with a YKK Aquaguard™ Vislon Zipper, ensure valuables stay dry. 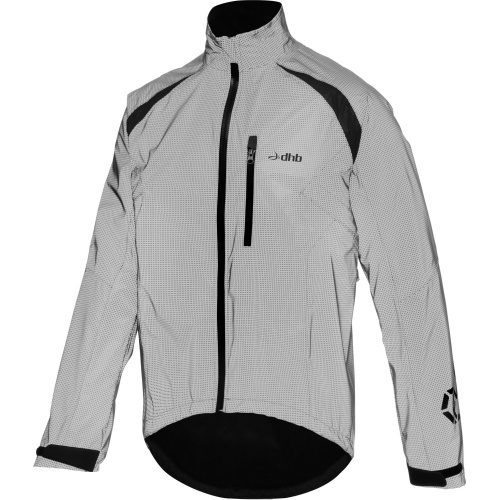 The added vents and chosen fabrics work to increase the breathability of this jacket to ensure things stay comfortable, rather than clammy. 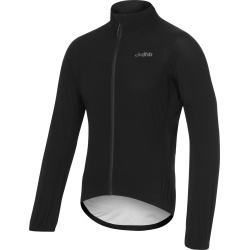 A fleece lined collar feels soft against the skin, and the mesh lining provides additional comfort. The fit is loose, so you can easily wear the layers you need underneath or feel confident you’ll keep your workwear dry when you reach for this for your commute.